The Lobster and Marine Museum tells the story of commercial fishing in Maine, through the history of fishing on Swan's Island. It is history unearthed and preserved by two brothers, Theodore (Ted) and Galen Turner, who have lived on Swan's Island for their whole lives. 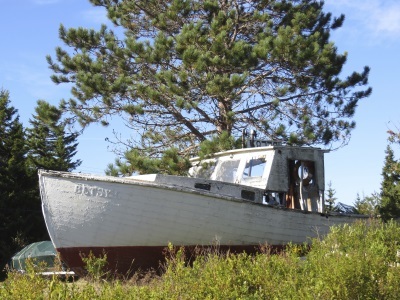 As they worked on and around boats, Ted and Galen became aware of the rich maritime history of their community, and of the fact that it was rapidly disappearing. In a couple of decades of preservation work, they have searched out models and artifacts from island attics, talked to island old-timers about how things were done in the old days, dived in the harbor to retrieve old equipment that had been used for moorings, restored old motors and built models, and researched newspapers and historical archives for details about fishing and boat building in their community. The Turner brothers had an extraordinary depth of knowledge about the artifacts they gathered, and about the men and women who depended on the sea for a livelihood. An hour spent at the museum learning history of Swan's Island is an unforgettable experience.